I am trying to find a picture of sgibs because I have found someone to whom he bears a striking resemblance. Sorry Donnie but given his location, no surprises to hear that it's a Pats' jersey he is seem wearing from time to time. I knew you'd like that. Man he can put away a burger or two! We need an avatar please sgibs. You and your good lady will do nicely. Glad you are having fun with us Brits and other Europeans. Splendid. 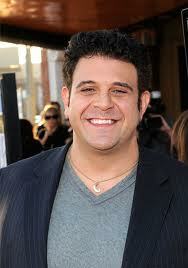 Although the other one on your OS and Twitter made you look more Adam Richmanesque IMO.